Color and Appearance: Very high color intensity. Tone purple. 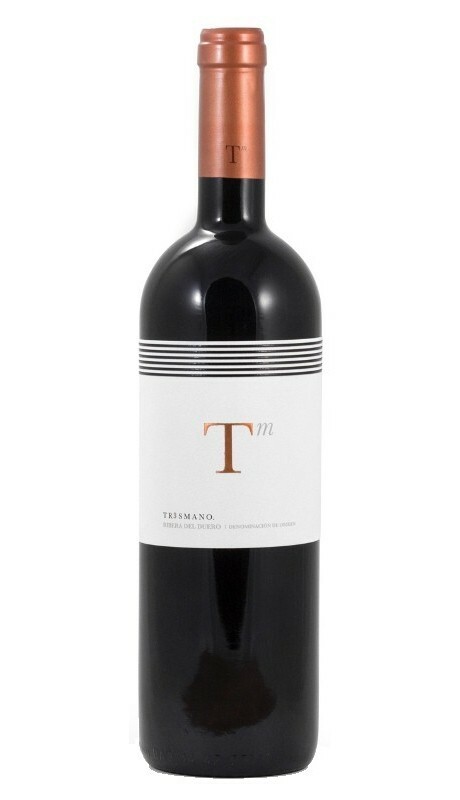 Nose / Aroma: On the nose, the great concentration and complexity aromatic Very ripe red fruit with subtle notes of Toasted, smoked and spiced. Mouth / Flavors: In the mouth it is structured, complex. Silky. Perfectly harmonized and in balance. The persistence in the mouth is very prolonged. Ageing: 26 months in french 75% and american 25% oak barrels. Production: 2.968 bottles of 75 cl., 310 magnum. Soils: Very poor limestone rock. Fernando Remírez de Ganuza had already had for many years with his own vineyards in Ribera del Duero, located in the sub-area of ​​Burgos, in the municipality of Olmedillo, with loamy clay soils. After decades dedicated to wine in different parts of the world, a dream united all the protagonists of this wine: to find in Spain old vineyards, ideal to make a great red wine. Tr3smano has the opportunity to feed on large vineyards located in three of the best vineyard subzones of the Ribera del Duero. Between them they add a total surface of some 30 hectares of vineyard, although all of very low production. 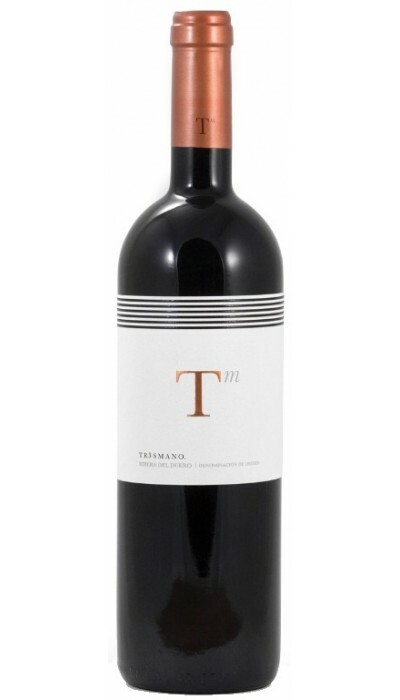 Tr3smano is surrounded by a first vineyard of 50 years: the vineyard of Lagar. This, together with that of Rábano, is cultivated on very poor sandy-loam soils. In the project of Bodegas Tr3smano, light is an essential element: light in greater or lesser incidence on mass and space. Located in the municipality of Peñafiel, "a trasmano" of the road that joins Peñafiel with its neighbor Quintanilla de Onésimo, near the famous Vacio de Pintia deposit, a necropolis that developed between the 4th and 4th centuries BC. and I a.c. and where there is an old wine press in which, already in the eighteenth century, grapes were traditionally stepped on this farm. Also where an olive tree of more than 1500 years points out the vineyard from the distance, leaving evidence that Valladolid was a valley of olive trees hundreds of years ago. Tr3smano has 30 ha of vineyards planted exclusively with Tempranillo or Tinta del país - Fine ink, most of them cultivated in a glass formation system and with a planting density between 3,000 and 4,000 Kg / Ha. The works are carried out in a completely manual way applying all the possible care to respect the quality of the grape. In the ripening room the barrels are buried, buried in silence, the entrance of light is minimal and indirect, as opposed to the elaboration room, bathed in light. A great wine can only be made in an exceptional vineyard. And with the care of the hand of man. "A good wine unites, even friends separated by an ocean"